hs2048: A 2048 clone in Haskell. 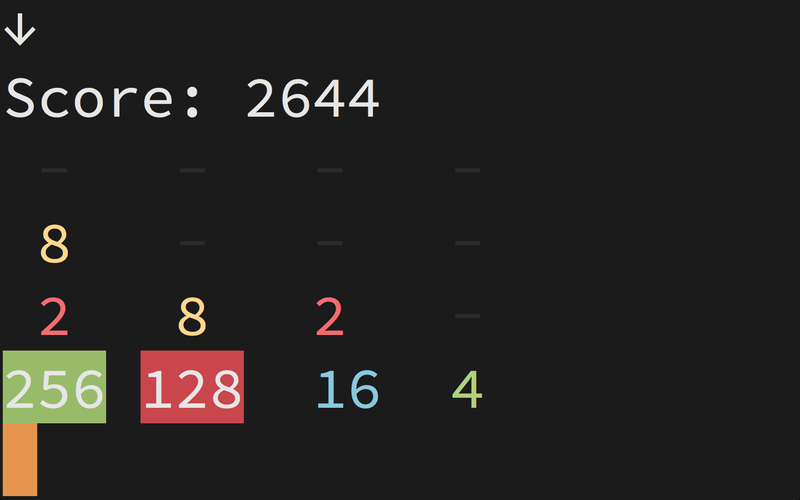 A 2048 clone in Haskell. This implements the game logic as well as a console interface for playing it.